Skeleton warriors from Jason and the Argonauts. If you are an aspiring puppet animator you can now learn from the master of fantasy animation in a series of movies on YouTube. Some of Harryhausen’s most notable works have included his animation on Mighty Joe Young made with pioneer Willis O’Brien, which won the Academy Award for special effects in 1949, The 7th Voyage of Sinbad and Jason and the Argonauts, featuring a famous sword fight against six skeleton warriors. 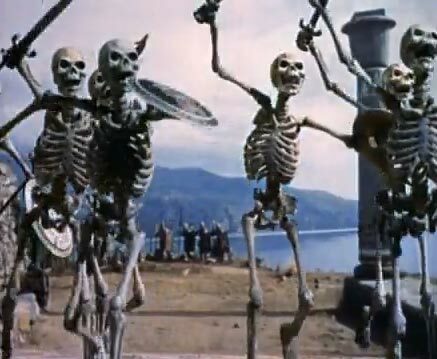 The Harryhausen Chronicles is in six parts combined with a YouTube playlist. What is your most memorable Harryhausen movie?